10' X 2'6" Peeled on site. 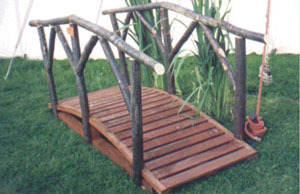 We can contruct longer and wider bridges on site (up to about 17' long) - please ask for a quote. 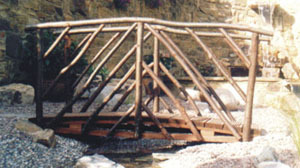 All bridges have tanalised boards and runners.